Outmaneuver Old Man Winter with the 686 Smarty® 3-in-1 Form Snowboard Jacket. This technical piece packages a 20K/15K outer shell with a sleek, removable butter fleece insulator. Either jacket is worth owning on its own, but together they form a brilliant two-layer system. The shell packs fully taped seams, venting at the underarms and collar, an adjustable powder skirt and other mountain features. The smooth fleece jacket comes in a sleek, low-profile cut for great looks when worn on its own. 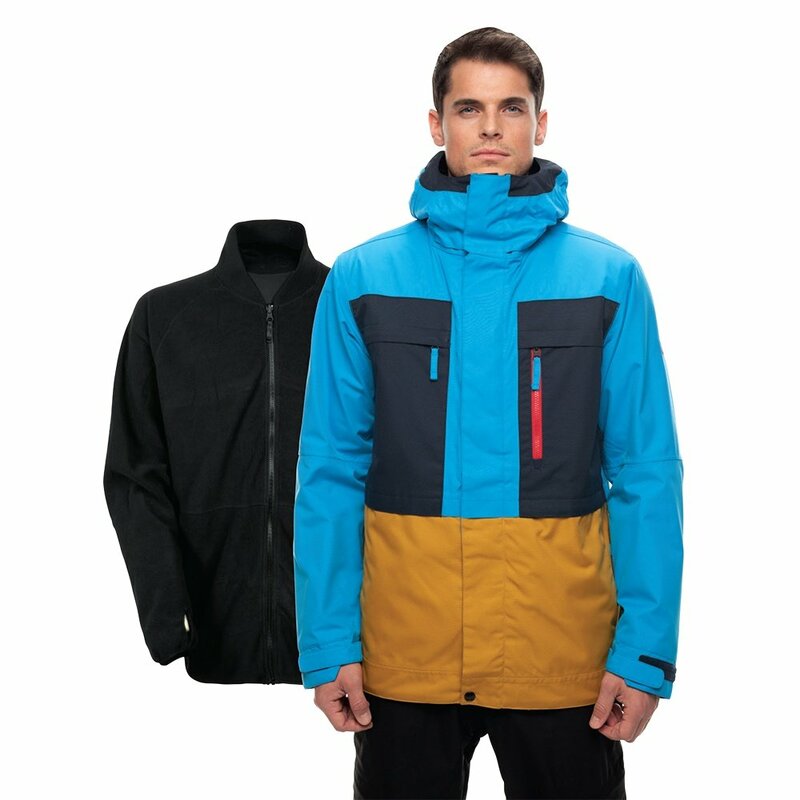 Get the Form Jacket and don't worry about snowboard clothes shopping again anytime soon. "My husband is a small 99% of the time, but I worry with a coat. Any idea how this coat runs? " "This coat runs true to size. Take some basic mesurements from your husband and use the size chart found here and get the size that will fit best. Hope this information helps. "